The AMD Ryzen 7 1800X is a processor hailing from the new "Summit Ridge" generation with eight logical CPU cores that, thanks to Simultaneous Multithreading (SMT), are capable of processing two threads at once on each core. This means that the number of processor cores is effectively supplemented by the addition of eight further virtual cores to make a total of 16 effective cores. The 8-core top-of-the-range model functions at a high clock rate of 3,6 GHz per core which, due to the implementation of Precision Boost, performs real-time tuning in accordance with the performance demands placed on the processor. This holds true in respect to both games and applications, adjusting itself on-the-fly in precise 25 MHz increments within the TDP framework up to a maximum of 4,0 GHz. In addition to these improvements the chip architecture also produces less heat and operates more quietly than any of its predecessors and is specially designed and optimised to work at high clock frequencies. These optimisations are due in part to the drastic improvements in energy efficiency and the low 95 Watt Thermal Design Power (TDP) of the CPU cores. The impressive specifications of this processor demonstrate the extent to which AMD's time has been invested into research and development. This goes a long way towards explaining the massive single-thread performance increase of up to 40% in terms of Instructions Per Cycle (IPC) as well as the manner in which the processor excels in highly parallelised multi-thread applications. These combined factors result in consistent and optimal performance. The days of racking your brains perfecting the art of the manual overclock are at an end as the CPU can control the entire process itself: As one of the "X" variants, the AMD Ryzen 7 1800X is equipped with the revolutionary Auto-OC feature known as Extended Frequency Range (XFR) to allow the processor's clock frequency to be drastically increased over the factory-set boost clock, provided sufficient cooling is supplied to the processor. As soon as the integrated CPU sensors detect the need for greater heat dissipation, the Ryzen CPU adjusts its clock rates to the respective cooling solution accordingly. 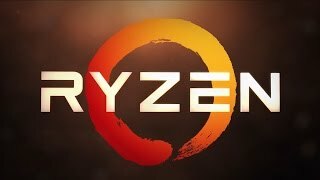 More links for "Ryzen 7 Eight Core 1800X 4.00GHz (Socket AM4) Processor - Retail"
The 1800X is an excellent processor for both productivity and gaming. It absolutely destroys every app i throw at it. AMD is back in full swing after a decade of stagnation! just jump from fx9370, its like day and night,less power, less heat, more performance.. i really happy with this upgrade. Amazing chip for productivity and gaming, Good to see AMD back in full swing. "From start to finish the Ryzen 7 1800X was a revelation and you can't begin to understand how happy it makes us... The Ryzen 7 1800X is a match for anything Intel has. AMD, it's great to have you back." "AMD has kicked through the front door of Intel’s HEDT processor party and shown no mercy on the 6C12T and 8C16T chips. Retailing for £500 less than an 8C16T Intel chip which performs similarly makes AMD’s Ryzen 7 1800X a relative bargain. We now turn our attention to the even more wallet-friendly Ryzen 7 1700X…"
"The AMD chip is particularly sweet at stock speed too, plus you'll likely struggle to get the Ryzen 7 1700 and maybe even the 1700X to similar speeds even if you overclock them. We'll be back with a closer look at the Ryzen architecture and features, but for now: Welcome back, AMD." "The AMD Ryzen 7 1800X is one of the best chips we’ve ever tested from the red team, delivering impressive performance, features and overclocking at an even more impressive price that’s sure to appeal to content creators and gamers." "AMD are back, and Ryzen 7 has officially ended the era of quad core computing."